Below you fill find all funeral homes and cemeteries in or near Smithville. 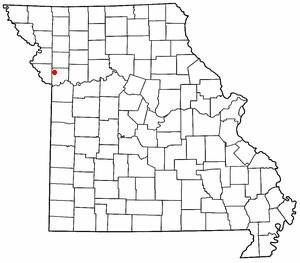 Smithville is also known as: Clay County / Smithville city. Zip codes in the city: 64089. It was written on November 16th, 2017 that Thelma Geneva Sallee perished in Smithville, Missouri. Sallee was 89 years old. Send flowers to express your sympathy and honor Thelma Geneva's life. It was noted by Ocala Star Banner on April 13th, 2015 that Jared J Forsyth passed on in Florida. Forsyth was 33 years old and was born in Smithville, MO. Send flowers to share your condolences and honor Jared J's life. It was reported by The Liberty Tribune on January 29th, 2015 that Mary Jane Dalley died in Smithville, Missouri. Dalley was 94 years old. Send flowers to express your sorrow and honor Mary Jane's life. It was written by The Liberty Tribune on December 25th, 2014 that Lisa Michelle Dorsel (Valencia) passed away in Smithville, Missouri. Ms. Dorsel was 55 years old. Send flowers to share your condolences and honor Lisa Michelle's life. It was disclosed by The Liberty Tribune on December 25th, 2014 that Lisa Michelle Dorsel (Valencia) passed on in Smithville, Missouri. Ms. Dorsel was 55 years old. Send flowers to share your condolences and honor Lisa Michelle's life. It was reported by The Liberty Tribune on August 28th, 2014 that Ronald Ray Jones passed on in Smithville, Missouri. Jones was 57 years old. Send flowers to express your sympathy and honor Ronald Ray's life. It was revealed by The Liberty Tribune on August 14th, 2014 that Ronald Ray Jones passed on in Smithville, Missouri. Jones was 57 years old. Send flowers to express your sorrow and honor Ronald Ray's life. It was revealed on May 2nd, 2014 that J R Mueller perished in Smithville, Missouri. Mueller was 71 years old and was born in Hutchinson, KS. Send flowers to share your condolences and honor J R's life. It was revealed by Columbia Daily Tribune on May 1st, 2014 that Melvin Neal Evans perished in Smithville, Missouri. Evans was 77 years old. Send flowers to express your sorrow and honor Melvin Neal's life. It was disclosed by The Liberty Tribune on March 27th, 2014 that Joe Ann "Jody" Odor perished in Smithville, Missouri. Odor was 80 years old. Send flowers to express your sympathy and honor Joe Ann "Jody"'s life. The population was 5,514 at the 2000 United States Census census. Smithville is a city in Clay County, Missouri and Platte County, Missouri counties in the US state of Missouri, along the Platte River (Missouri)#Tributaries Platte River. . . .
funerals in Smithville, MO 64089 on Yahoo! Local Get Ratings & Reviews on funerals with Photos, Maps, Driving Directions and more. Smithville Herald - Smithville, Missouri news, weather and sports. Listing all funeral homes in Smithville, Tennessee so you can easily send flowers to any location (same day delivery) or find any funeral service. We work with local florists and flower shops to offer same day delivery. You will find budget sympathy flowers in Smithville here. Our funeral flowers are cheap in price but not in value.